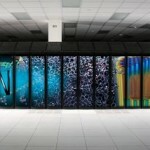 The U.S. once again has the world’s top supercomputer. 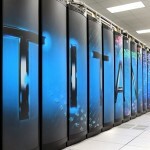 The Titan, a Cray XK7 system installed at the Oak Ridge National Laboratory (ORNL) in Tennessee, has been named the fastest supercomputer in the world in the 40th edition of the twice-annual Top500 List. According to a Top500 news release, the Titan achieved 17.59 Petaflop/s (quadrillions of calculations per second) on the Linpack benchmark. The computer runs 560,640 processors, including 261,632 Nvidia K20x accelerator cores. 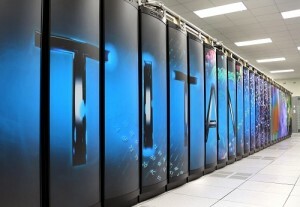 Titan replaced Oak Ridge’s XT5 Jaguar, which ranked as the world’s fastest computer in November 2009 and June 2010 before it was bested by the Chinese Tianhe-1A system at the National Supercomputer Center in Tianjin two years ago. This summer, however, the U.S. reclaimed the top spot among the world’s supercomputers when an American computer topped the list. The Sequoia, an IBM BlueGene/Q system located in the Department of Energy’s Lawrence Livermore National Laboratory in California, won the race in June, but has since been knocked to No. 2. “The new Top500 list clearly demonstrates the U.S. commitment to applying high-performance computer to breakthrough science, and that’s our focus at Oak Ridge,” director Thom Mason said in a statement. “We’ll deliver science from Day One with Titan, and I look forward to the advancements the Titan team will make in areas such as materials research, nuclear energy, combustion and climate science,” he said. 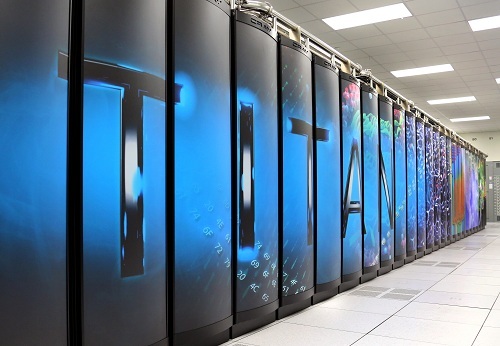 The hybrid machine combines the traditional central processing units (CPUs) with graphic processing units (GPUs) — one of the first steps toward the goal of exascale computing, ORNL reported. The new format would generate 1,000 quadrillion calculations per second using 20 megawatts or less of electricity. Filling out the top five spots, in order, are Fujitsu’s K computer at the RIKEN Advanced Institute for Computational Science (AICS) in Kobe, Japan; a BlueGene/Q system called Mira at Argonne National Laboratory; and a BlueGene/Q system named JUQEEN at the Forschungszentrum Juelich in Germany, which has been upgraded and is now considered the most powerful system in Europe, according to Top500. America also contributed a new system to the Top 10, a Dell PowerEdge C8220 system dubbed Stampede, installed at the Texas Advanced Computing Center at the University of Texas in Austin. Using new Intel Xeon Phi processors, it reaches 2.6 Petaflop/s. The U.S. has plenty of supercomputer competition, mainly in Asia, where China and Japan dominated the list, with 72 systems (up from 68) and 31 systems (down from 35), respectively. Meanwhile, computers with multi-core processors dominate the November list. More than 84 percent of the systems use processors with six or more cores, and 46 percent with eight or more, Top500 reported. The majority of those processors are provided by Intel (76 percent), while AMD Opteron produced 12 percent — the same as six months ago, and IBM Power rounded out the bunch with 10 percent.